Thursday, February 04, 2016. Print articles worldwide from 9 February 2016. Intro for this section here http://dpnlive.com/index.php/news/general-news/editorial/3152-trial-of-new-section-showing-international-print-news. February 8, 2016. While we have seen the success of high-speed digital print in a variety of print and mail sectors, there’s one area that seems a bit “dark.” That area is the newspaper industry. At first glance, newspapers and digital print would seem to be a match made in heaven. Web inkjet can quickly print localized content, both on the news and advertising side. And it’s ideal for shorter-run, specialized editions, such as foreign-language publications serving large metro areas. 2/08/2016 12:58 PM EST. 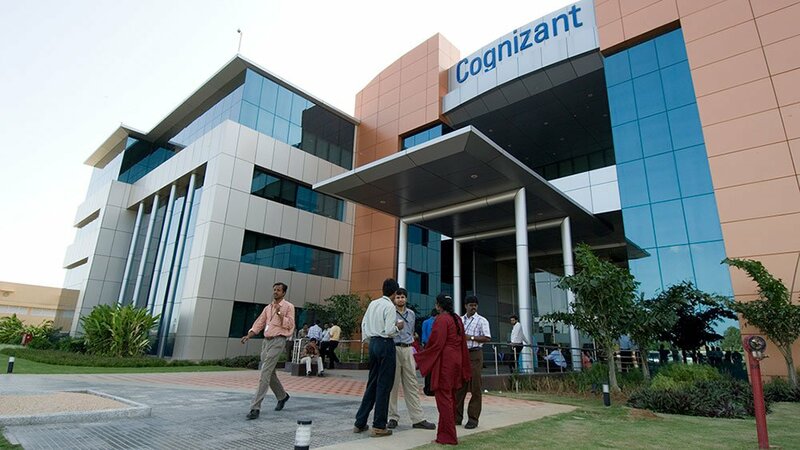 Highly rated business process outsourcing firm Cognizant Technology Solutions gapped down 8% after the Monday stock market opening bell, shortly after management disappointed investors with guidance lower than Wall Street expected for the first quarter and 2016. NEW YORK, NY -- (Marketwired) -- 02/08/16 --Adorama, one of the world's largest photography, video and audio, imaging and electronics retailers, will host a free live demonstration, a free launch event, and two free workshops from Monday, February 8 to Thursday, February 11 in its Manhattan-based superstore. February 09, 2016 (Germany). Zschimmer & Schwarz Mohsdorf will put into operation a new pilot system for reactive digital printing in the first quarter of this year. Johannesburg, 8 Feb 2016. Durban-based printing and production company CDR Repro has doubled its digital printing output since the purchase of a Xerox Colour J75 Press from Xerox Digital Print Specialists and Bytes Document Solutions. February 8th, 2016. Cwm LLC boosted its position in shares of Xerox Corp (NYSE:XRX) by 10.7% during the fourth quarter, according to its most recent filing with the Securities and Exchange Commission. The institutional investor owned 814,762 shares of the company’s stock after buying an additional 78,730 shares during the period. Cwm LLC owned about 0.08% of Xerox Corp worth $8,661,000 at the end of the most recent reporting period. February 7, 2016. Xerox Corporation (NYSE:XRX) has updated its shareholders on the dividend payout of $0.0775 to each of the shareholders. The record date is 2016-03-31, the payment date is 2016-04-29 and ex-dividend date is specified 2016-03-29. This announcement was made on 2016-02-01. Shareholders will be obligated to hold stock until the ex-dividend date to get dividend payout. 08 Feb 2016. Located in Mumbai, and with a focus on wide format inkjet printers, products on show include the latest version of its Acuity LED 1600. A customer gallery showcases print samples. Graphic Art Mart Pty Ltd is delighted to announce that it is acquiring Q1 Media. 08 February 2016 10:14. Q1 Media is a wholesaler of sign writing, screen and digital printing products throughout South Australia with a history dating back to the 1980’s. Graphic Art Mart has serviced the sign and display market in Australia for more than 40 years - marketing leading industry brands such as Avery Dennison, Arlon, Roland DG, Aslan, Chemica, Mimaki, and Sihl. Existing operations in New South Wales, Queensland, Victoria, Western Australia and the Northern Territory have provided customers with the highest levels of product knowledge, service and support. The acquisition of Q1 Media promises to bring these exceptional products and service levels to customers in South Australia. February 08, 2016 (Italy). At FESPA 2016, J-Teck3 will present its diverse range of digital disperse dyes for sublimation and direct printing, specially engineered for polyester fabrics in Hall 1, Stand G50. February 6, 2016 10:25 am EST. Xerox Corp. (NYSE: XRX) reported fourth-quarter results on January 29, but the big negative reaction did not come until last Monday. The company announced that it is going to split itself into two pieces, essentially wiping the slate back to 2009 when Xerox acquired business software and services business ACS. It was not a match made in heaven. February 6th, 2016 -1st Global Advisors Inc. boosted its stake in shares of Xerox Corp (NYSE:XRX) by 9.1% during the fourth quarter, according to its most recent Form 13F filing with the Securities and Exchange Commission. The firm owned 38,255 shares of the company’s stock after buying an additional 3,185 shares during the period. 1st Global Advisors Inc.’s holdings in Xerox Corp were worth $407,000 at the end of the most recent reporting period. 7 February 2016. I am a print romantic. I’ve always loved the elegant weight of a hardback book, magazines, and yes, the post. Strange as it may seem, when an envelope arrives with my name on it, the act of carefully opening it conjures a form of anticipation and appreciation that other mediums of communication simply cannot. February 5, 2016 7:35 am EST. Weyerhaeuser Co. (NYSE: WY) reported fiscal fourth-quarter and full-year 2015 results before markets opened Friday. For the quarter, the wood products REIT posted adjusted diluted earnings per share (EPS) of $0.24 on revenues of $1.73 billion. In the same period a year ago, the company reported adjusted EPS of $0.27 on revenues of $1.78 billion. Fourth-quarter results also compare to consensus estimates for EPS of $0.24 and $1.72 billion in revenues. Friday, February 05, 2016. Imprimerie de l’Avesnois/Digitaprint printshop located in northern France, has inaugurated a digital workflow that is the forst of its kind to Europe. Multiple weekly newspapers have been in digital print production as of January 2016. manroland web systems’ FoldLine is responsible for inline finishing. The investment is pursuing a major goal: a gradual transition to personalized newspaper printing. Saturday, 6 February 2016. THE ability to engage more effectively with the audience coupled with the right mix of content, relevancy and comprehensive marketing initiatives have continued to attract marketers to the print media amid a digital explosion in the media scene. February 5, 2016 . Rupert Murdoch's News Corporation has flagged further cost cutting across its newspapers in Australia and the United Kingdom as the media giant's profit more than halved in its latest quarter. February 5, 2016. Where are you getting your news nowadays? The newspaper? Local news at 6 PM? What about social media? According to a recent study published by Pew Research Center, the number of Americans using Facebook and Twitter for news sources has risen significantly with 63% of users on each platform using the platform for news stories in 2015.